A new report released Tuesday reveals in Alabama, some kids have it harder than others when it comes to their well-being as various inequities exist across the state. 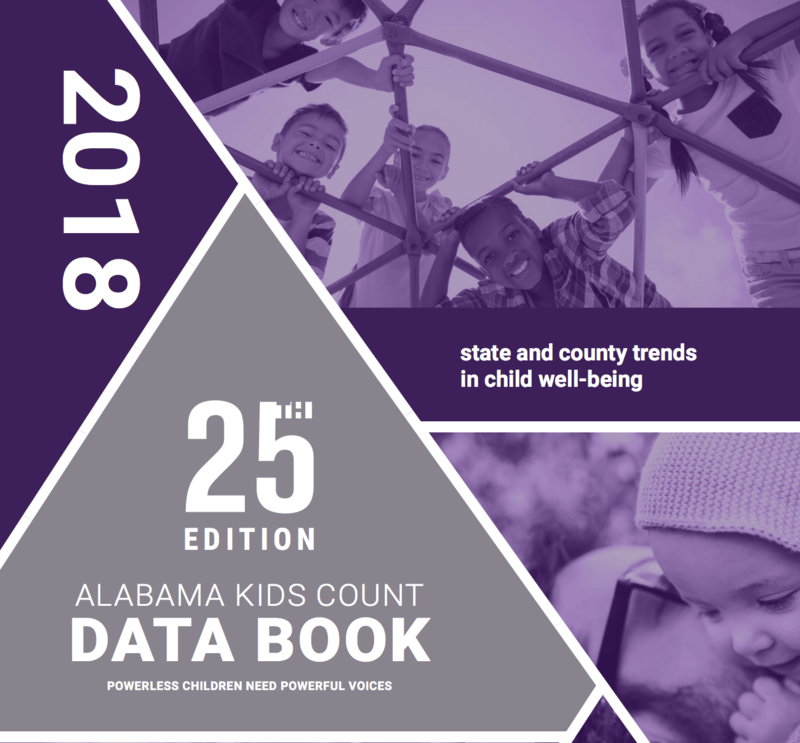 In the 25th annual Alabama Kids Count Data Book, VOICES for Alabama Children — statewide nonprofit organization that works to promote policies that positively impact the lives of children — explored how the well-being of Alabama’s children has evolved over the last 25 years. In analyzing 70 key indicators across four issue areas: Health, Safety, Education and Economic Security they found mixed results for Alabama’s kids. According to the 2018 results, Shelby County ranks number one in the state for overall child well-being, followed by Limestone, St. Clair, Autauga and Lee counties. Wilcox County ranks last as the sixty-seventh in the state. Statewide, more children are enrolled in state-funded, high-quality and voluntary pre-k than ever before (32 percent). The percent of vulnerable families has fallen by nearly a third over the last ten years. Births to teens aged 15-17 years old decreased by more than 50 percent from 2006 to 2016. Approximately 97 percent of Alabama’s children are now covered by some form of health insurance. In 2015, 45,500 of the state’s children were without health insurance, but declined to 39,111 in 2016. Rates for pre-term births declined approximately nine percent from 2006 to 2016. Alabama’s total population increased by 9.6 percent from 2000 to 2017, but the state’s child population fell by 2.6 percent during the same period. In 2017, children made up 25.1 percent of the total state population. Child poverty rates in Alabama have increased steadily since 2000. Today, 26.5 percent of children in Alabama live in poverty. This includes 30 percent of children under the age of five, more than any other age group in the state. Alabama continues to have one of the highest infant mortality rates in the nation, 9.1 per 1,000 live births compared to the national rate of 5.6 per 1,000 live births. In 2017, only 40 percent of fourth graders in Alabama met the ACT Aspire minimum standards for proficiency in reading, and only 52 percent met the standards for proficiency in math. The number of licensed child care centers continued to decline in the state. In the 2016-2017 school year, 71.5 percent of high school seniors successfully met at least one indicator of readiness for college or career. This is an increase from 66 percent in the 2015-2016 school year. New to this year’s report is the state’s college and career readiness data. In 2017, 71.5 percent of Alabama high school students were deemed ready to start college or a career, up from 66 percent in 2016. However, this is drastically lower than the 2017 graduation rate of 90 percent. This suggests that many of our high school seniors are graduating from high school ill prepared for life after their high school graduation. 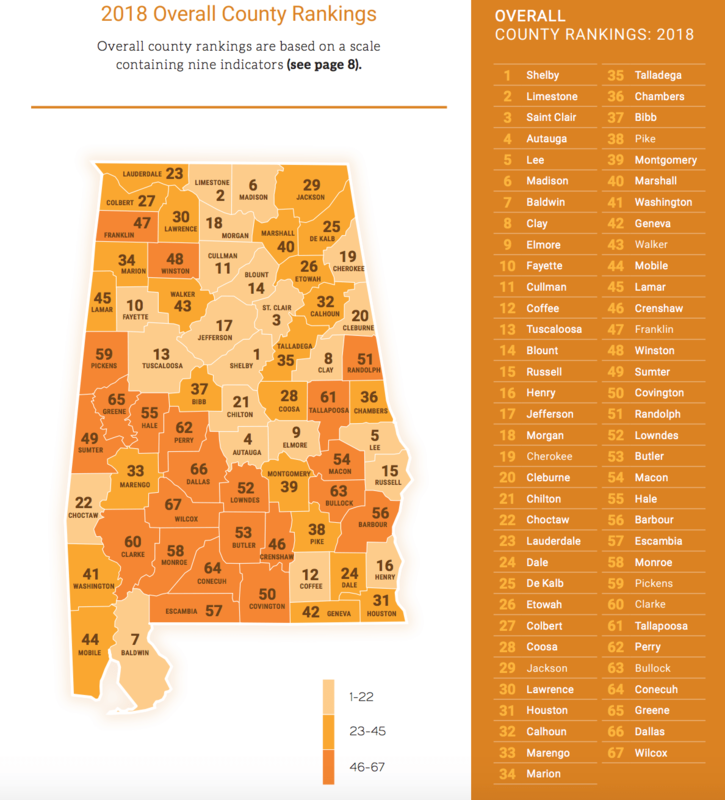 VOICES has produced the Alabama Kids Count Data Book every year since the first edition was published in 1994.